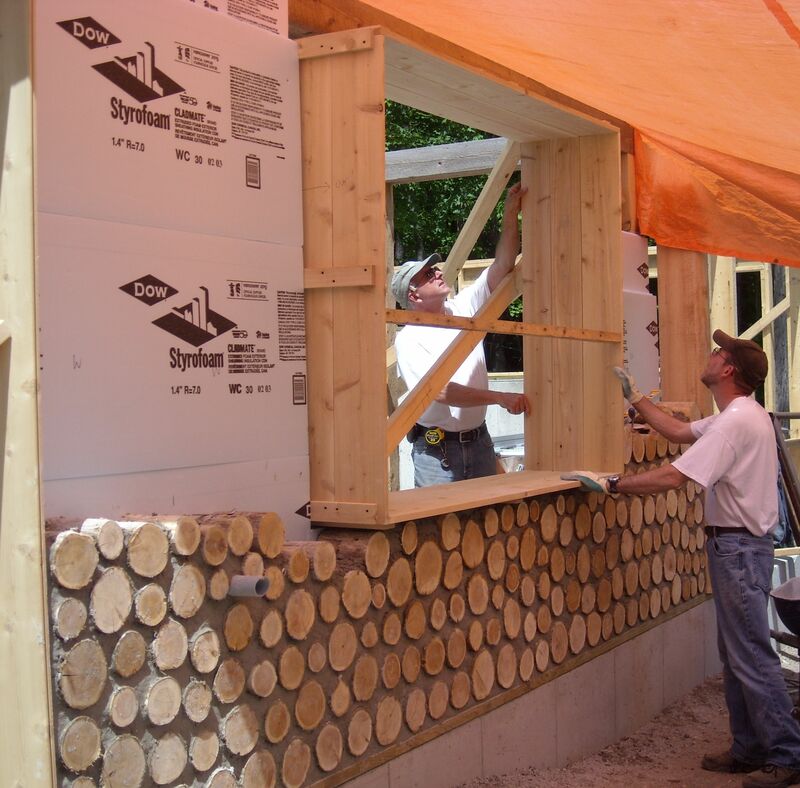 Double Wall Cordwood on Manitoulin Island, Ontario, Canada. 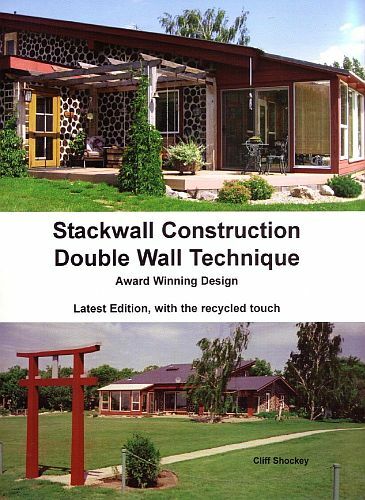 They built each stackwall in two parts – an inside surface and an outside one, both using 7 inch long logs, with two layers of 1 1/2 inch extruded polystyrene foam between them and some air space. Wire ties every 18 inches extend from one side of the stackwall to the other, binding the two log assemblies together through the foam, creating a total wall thickness of 17 inches. This wall thickness makes for some deep and cozy window sills as well. 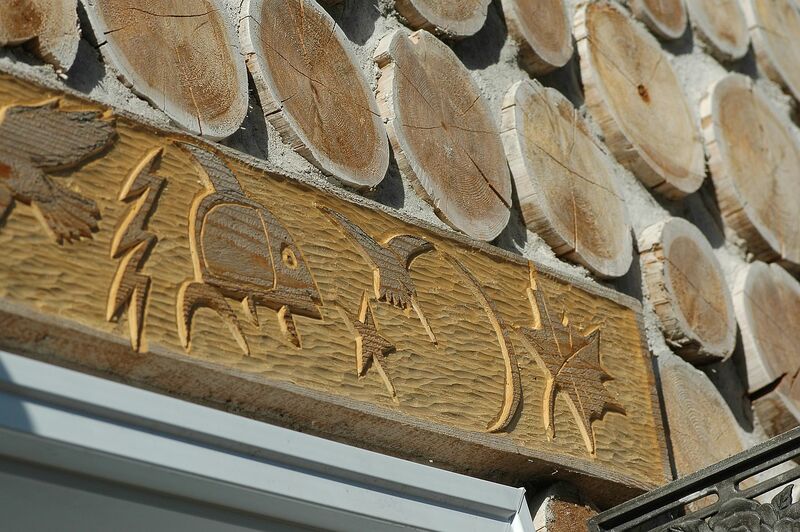 David Migwans is an Ojibwa artist who carves wood, stone and antler, works with clay and paints. He spent weeks at the Willson house adding carved details into wooden lintels, door and window trim using hand tools and his uniquely Native artistic vision. 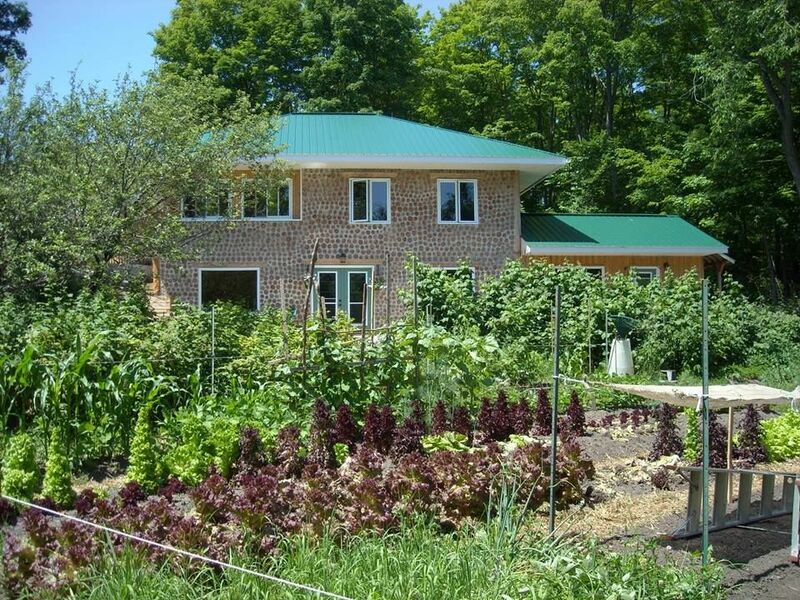 The house looks good and functions to hold heat in the winter or coolness in the summer. 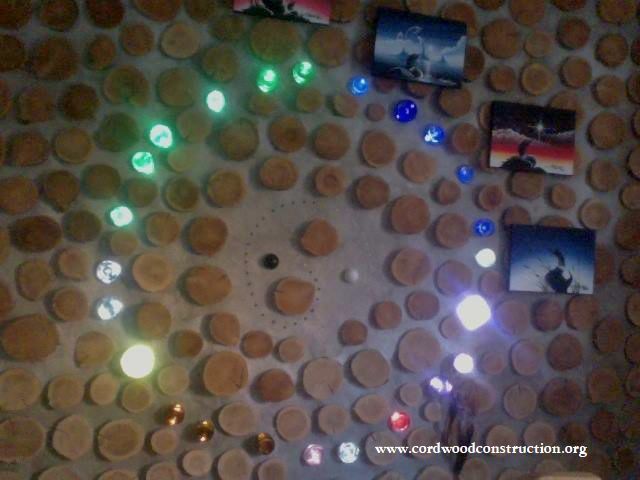 They also used bottle bricks to make attractive accouterments to the walls. 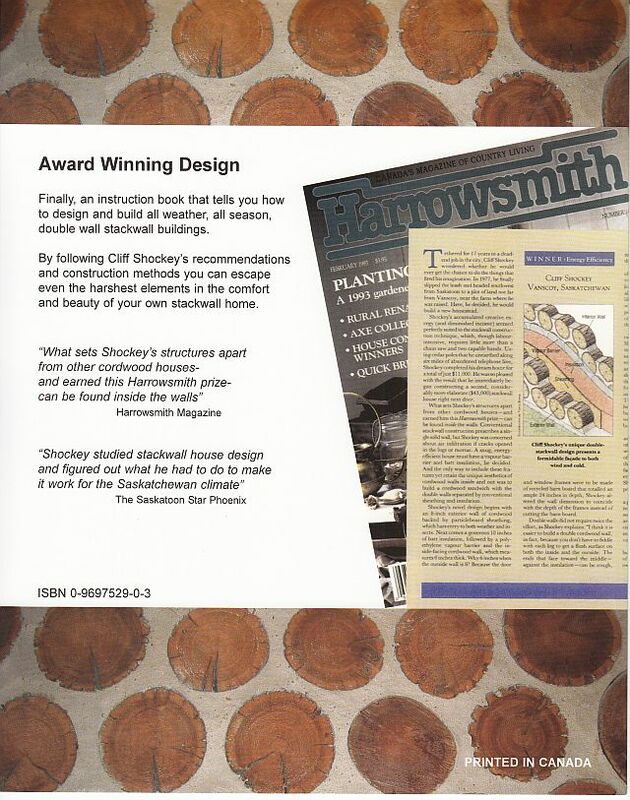 If you are interested in learning more about how to build your own chicken coop, garden shed, cottage or dream home, please consider visiting www.cordwoodconstruction.org and checking out the pictures, the articles, the workshops and the online bookstore. 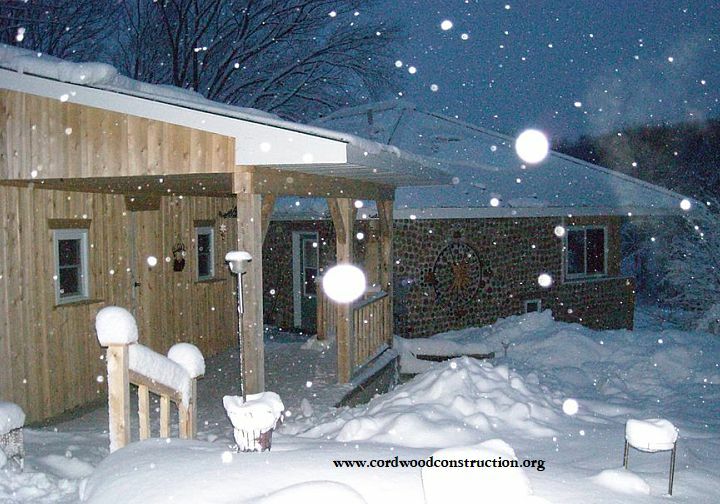 Cordwood Construction Best Practices is the latest book on cordwood building (updated in 2015) and will give you the whole range of possibilities in a full color, visually attractive, concise narrative. 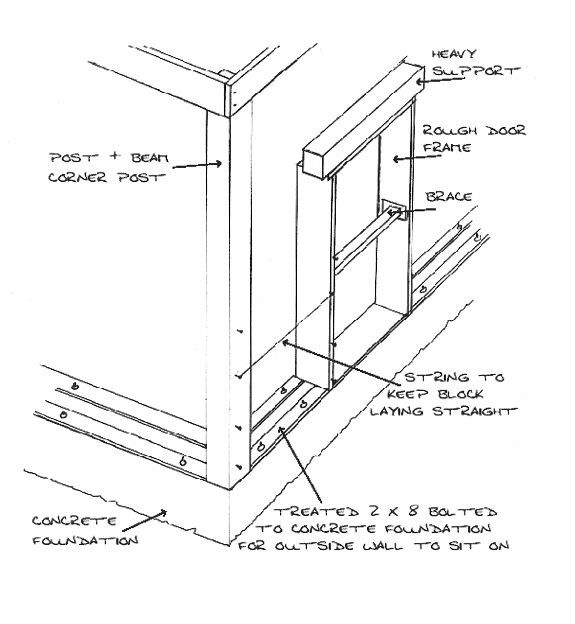 Here is a diagram of a double wall post and beam framed home by Cliff Shockey of Saskatchewan, Canada.